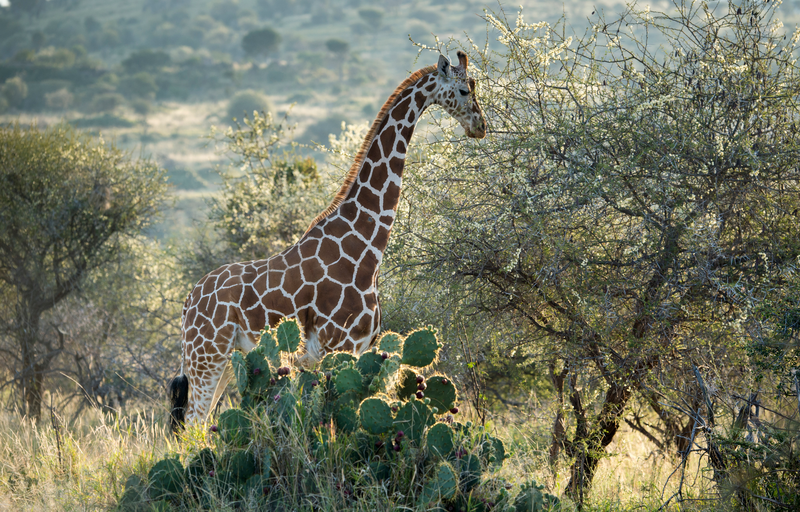 A reticulated giraffe in the Loisaba Wildlife Conservancy in Northern Kenya. Photo by Ami Vitale. Robustly drawing upon and building the evidence base for conservation. CbD 2.0 is based in the Open Standards for the Practice of Conservation and also is intended to reflect an evolution from it. This website presents guidance for implementing our updated conservation planning process along with a suite of learning tools and additional references. While the process is presented as a sequence of steps, it is intended to be applied via an iterative process. Conservation by Design 2.0 aims to help teams develop strategies to address the major conservation challenges of our day. These challenges require us to be bold and adapt our traditional ways of planning and implementing our work. To achieve our mission, we must move from strategies and projects that treat symptoms at a local scale to strategies and projects that address underlying systemic causes at a much broader regional and global scale. The four key advances of CbD 2.0 form the foundation for the approach described in this Guidance document, and are intended to help in the identification of strategies aimed at achieving systemic change. Indeed, we strongly encourage teams to discuss how these advances apply to their planning context before initiating the process, to make sure that the advances stay fully embedded throughout. 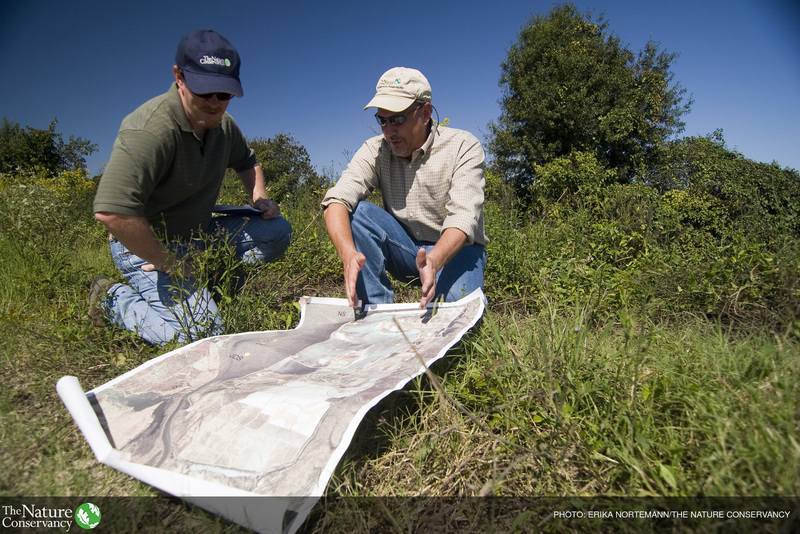 This website lays out the approach used by The Nature Conservancy to develop, evaluate and strengthen strategies in support of the advances described in Conservation by Design 2.0. It is intended to describe leading practices for conservation which can readily be adapted and adopted by The Nature Conservancy and other organizations. It replaces the Conservancy's Conservation Business Planning guidance, although nearly every element from the business planning approach is included here. Other planning approaches and their planning material used by the Conservancy, such as Major Habitat Assessments, Ecoregional (and other regional) Assessments, and the Open Standards for the Practice of Conservation (the Conservancy's original Conservation Action Planning approach is now captured within the Open Standards) may be useful for completing specific aspects of this guidance. Given the increasingly global scale of the challenges we seek to address, and The Nature Conservancy’s intent to drive our work in ways that contribute to systemic change, CbD 2.0 is most appropriately applied sequentially from global to regional to whole system scales. This approach better ensures that work at smaller scales "adds up to more than the sum of the parts" in contributing to larger system-scale impact. For this reason, we strongly encourage practitioners of CbD 2.0 to include in their framing and scoping a consideration of conservation efforts that may be happening elsewhere and at higher levels, so that their proposed engagement can align with, contribute to, leverage and advance those larger scale strategies and initiatives. Conservancy staff who have questions about organizational expectations around The Shared Conservation Agenda and CbD 2.0 implementation should refer to information provided on the Shared Agenda and CbD 2.0 pages on the Conservancy's internal CONNECT portal. In addition, you should become familiar with the concepts behind the Theory of Transformational Change (ToTC) as your planning process gets underway, and be prepared to create a ToTC during the Map Strategies and Places Phase. When updating an existing plan, the best results will be obtained by going through the whole process, as the success of each step depends on the preceding step. This is because, as illustrated in Table 1, outputs from each step are used to inform subsequent steps. Therefore, we caution against skipping to the portion of your work that your team wants to update without considering the key advances of CbD 2.0 in previous steps. Furthermore, if new participants are brought in at intermediate steps, they need to be briefed about outputs from previous steps as well as issues discussed and decisions made to ensure an effective process from start to finish and to secure buy-in from the whole team. We note at multiple places throughout this website that a trained facilitator or coach can be very helpful for particular steps. The Conservancy has a rich history of peer '​coaching' via our Efroymson Coaches Network, which has since evolved into the Conservation Coaches Network (CCNet), a global community of practitioners who support the application of the Open Standards for the Practice of Conservation. Please see Appendix B for more information about CCNet as it relates to CbD 2.0. New, specialized coaching approaches are in development at TNC; we hope to provide a searchable registry of generalist and specialist coaches soon. This guidance is intended to be comprehensive enough to help practitioners identify successful strategies, choose the most effective areas to work, and avoid common pitfalls. However, it is by no means a detailed, step- by-step guide for each component. The book by Groves and Game, Conservation Planning: Informed Decisions for a Healthier Planet is an excellent source for more detailed information and examples on some key elements of the CbD 2.0 process. Where relevant, more detailed exploration of each step is provided via examples, recommended practices, pro tips, and links to additional learning resources. In addition to guiding teams through the planning methodology itself, the website includes a special section on the Key Advances that represent the major evolutionary elements of this second generation of Conservation by Design. These four sections provide important context to understand the motivations behind the updated methodology, and a conceptual framework for its implementation. We consolidated the discussion of the Key Advances in one place because they permeate Conservation by Design 2.0, making it redundant to include this information at every place that it is relevant. Moreover, it is essential for teams to understand these advances if they are to effectively implement CbD 2.0. The CbD 2.0 methodology is organized into 14 steps, grouped into five overarching phases which you will find by mousing over "Our Approach" on the top navigation. Each Phase has a landing page, and each step contains a summary of its purpose, intended products, the process itself, minimum standard questions that your team should ask at the end of every phase, and FAQs. Learning resources are found throughout. By clicking on "Expand All," you can see all of the content of each page. By clicking on individual bullets, you can see additional content on that topic. A series of appendices, found under the "Resources" dropdown, provide links to additional external guidance, tools, and further discussion on related topics. Two example strategies recur throughout the website, to facilitate understanding of how teams adjust their thinking when progressing through the steps of CbD 2.0. Table 2 provides an overview of conclusions from relevant steps for each strategy. Table 1: Steps, outputs, and potential products a team might create using the guidance provided on this website.